Item # 313743 Stash Points: 1,395 (?) This is the number of points you get in The Zumiez Stash for purchasing this item. Stash points are redeemable for exclusive rewards only available to Zumiez Stash members. To redeem your points check out the rewards catalog on thestash.zumiez.com. Spread the good vibes every time you step upon your board with Mob Grip's Vacation Shirt Grip Tape. 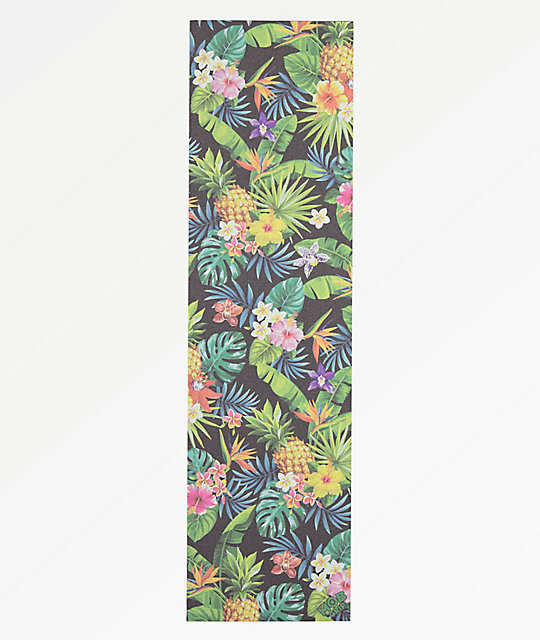 Designed with a stunning tropical floral print pattern, this sheet of grip embodies a colorful Hawaiian button up inspired aesthetic that adds a warm, pleasing, decorative styling to all your flip tricks. Vacation Shirt Grip Tape from Mob Grip. Tropical floral print pattern throughout.